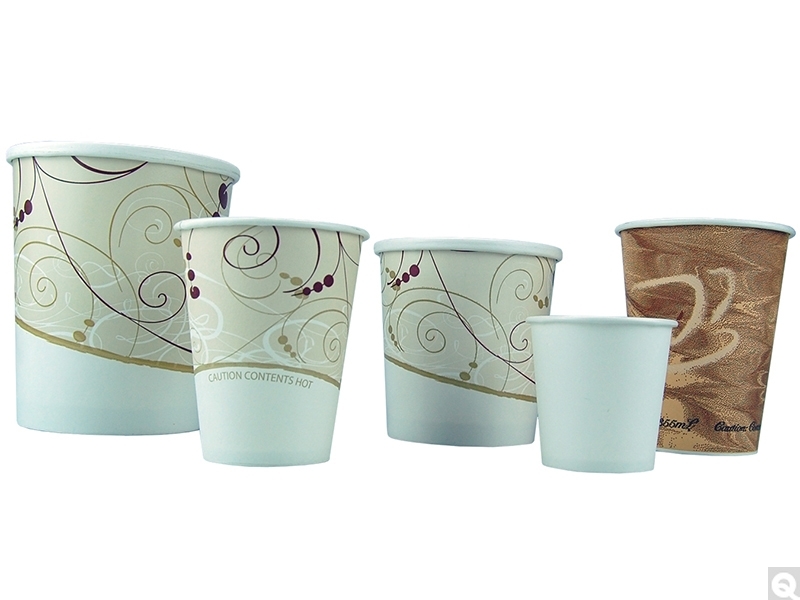 Cold Paper Cups have a two piece, heavy duty construction and heat-sealed side seams to prevent leaks. Hot cups feature tightly rolled rims with heat-sealed side seam and interlocked bottoms. Hot cups are poly lined. These are widely used as inexpensive sampling containers.